Welcome to the Department of Sports Medicine Research at the Andrews Research & Education Foundation (AREF) in Gulf Breeze, FL. An active lifestyle and participation in sports have inherent risk. Each person handles the workloads placed on their bodies in a different manner. The introduction of an injury or improvement in performance will vary with each individual. At AREF we strive to find a better approach to look at health and wellness. 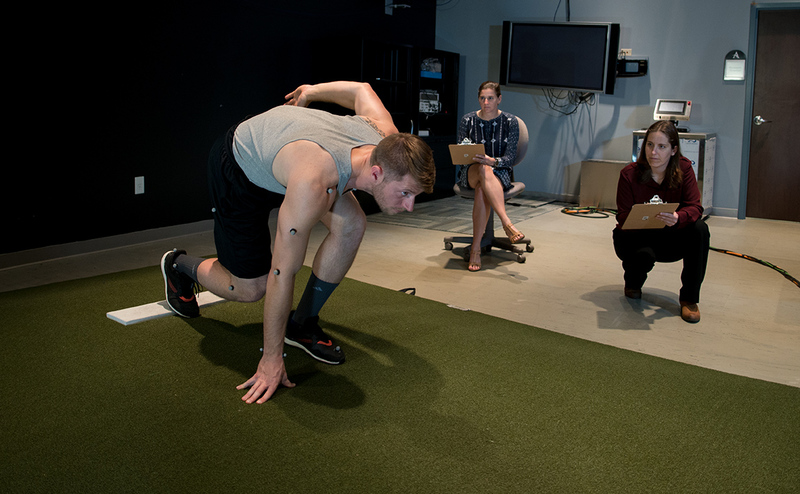 Our lab research and evaluations encompass a wide range of activities and movements. 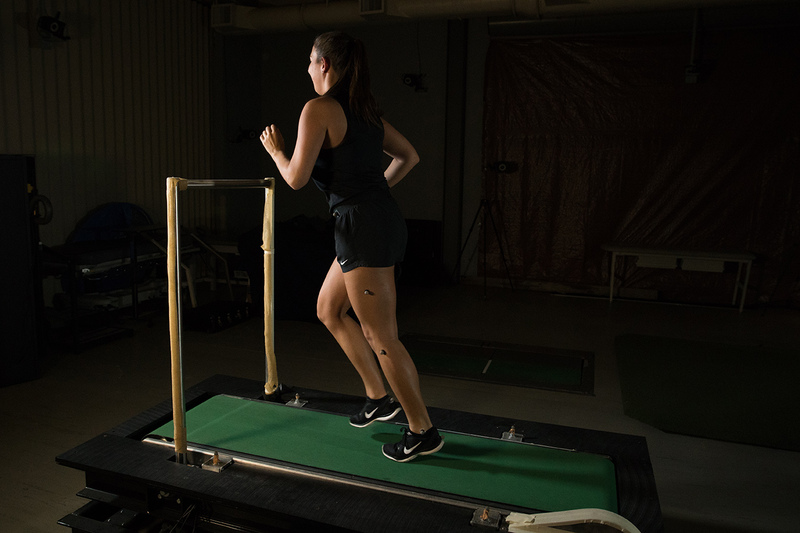 Our resources provide us the flexibility and capabilities to capture movement data integrated with force and EMG data over range of activities from ergonomics to professional sports actions. We work with our physicians, physical therapists, and other team members to utilize our lab to enhance and improve the quality of care given to each patient. 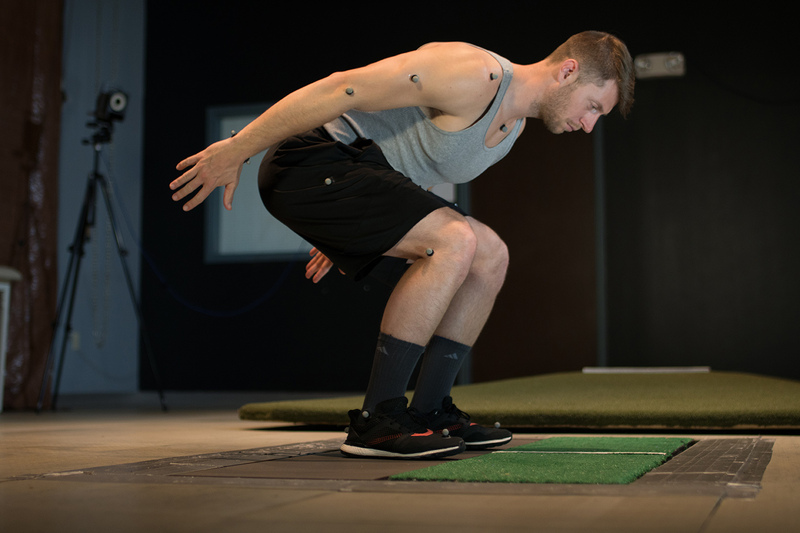 The purpose of this study is to assess test-retest reliability for intra-rater reliability for kinematic data during baseball pitching and during a single-leg step-down (SLS) task. 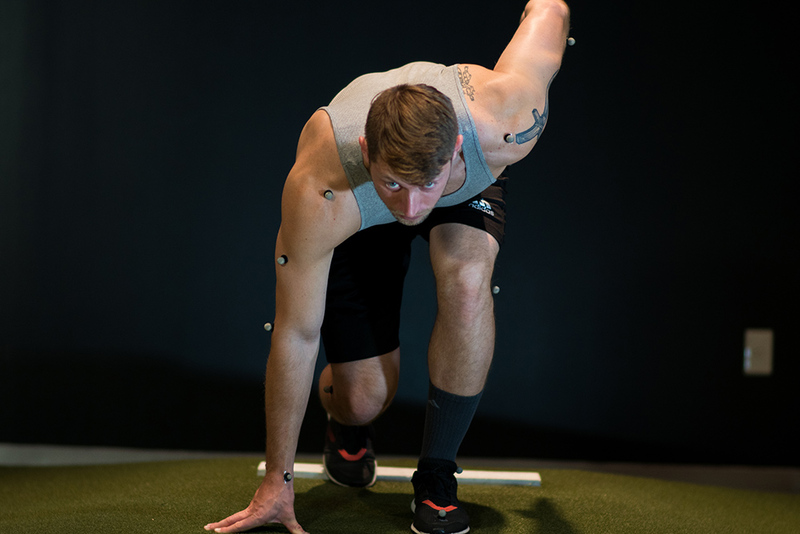 The results of this study will be used to establish that the motion analysis testing procedures for baseball pitching utilized can be reliably reproduced. Status: Enrolling baseball pitchers between the ages of 9-39. A common symptom among softball pitchers is anterior shoulder pain. With the increased incidence of anterior shoulder pain, particularly the biceps tendon, examination of biceps tendon in these athletes could prove beneficial. The purpose of this study is to compare acute changes in the long head of the biceps tendon (LHBT) in baseball and softball pitchers following a standardized acute bout of throwing. We hypothesize that an increase in LHBT longitudinal thickness, transverse thickness, transverse width, and echogenicity will be greater in softball pitchers compared to baseball pitchers. Status: Enrolling baseball and softball pitchers between the ages of 14-23. The upper extremity is among the most frequently injured body regions in high school softball players. Understanding the injuries sustained during youth could possibly shed light on injury prevention protocols in attempt to not only curtail injuries at the youth level but also throughout their competitive years. However, studies examining upper extremity injury in youth softball players are lacking. The purpose of this study is to perform a descriptive analysis of player-reported pain/injuries in fastpitch softball pitchers who compete on travel teams. Status: Enrolling softball pitchers between the ages of 10-18. Multi-channel surface EMG electrodes allow for a non-invasive metric to determine the innervation zone, conduction velocity, and obtain motor unit recordings. High density surface electromyography is a novel, non-invasive approach using multi-channel surface EMG electrodes that can obtain motor unit recordings from the surface of the skin through an automatic and efficient computational algorithm. The purpose of this study is to determine the innervation zone of the muscles of the lower extremity. Status: Enrolling healthy individuals between the ages of 18-64. 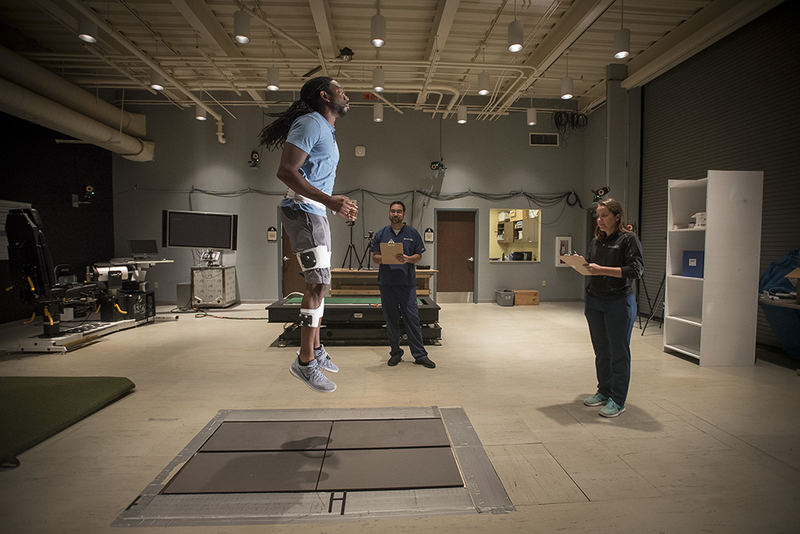 Individuals who have had an anterior cruciate ligament (ACL) reconstruction, even after they have been cleared by a physician and have returned to full activity, demonstrate differences in the neural control of the thigh muscles. These individuals have an increased risk of developing osteoarthritis in the injured knee throughout the course of their life, and altered neural control of thigh and leg muscles may be a contributing factor. The purpose of this study is to characterize neural drive to muscles in individuals with ACL reconstruction using quantitative analyses and determine how neural drive differs from healthy controls. 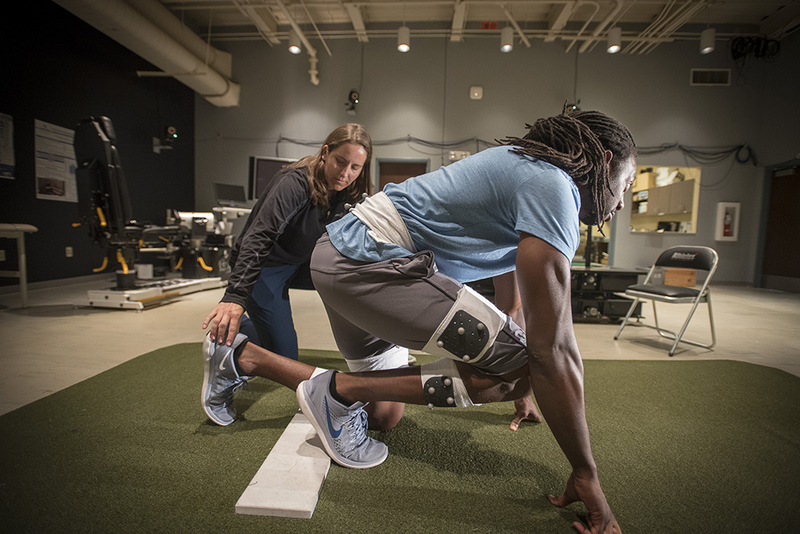 Status: Enrolling healthy individuals between the ages of 14-59 AND individuals who had a unilateral, primary ACL reconstruction at least 6 months prior to data collection.